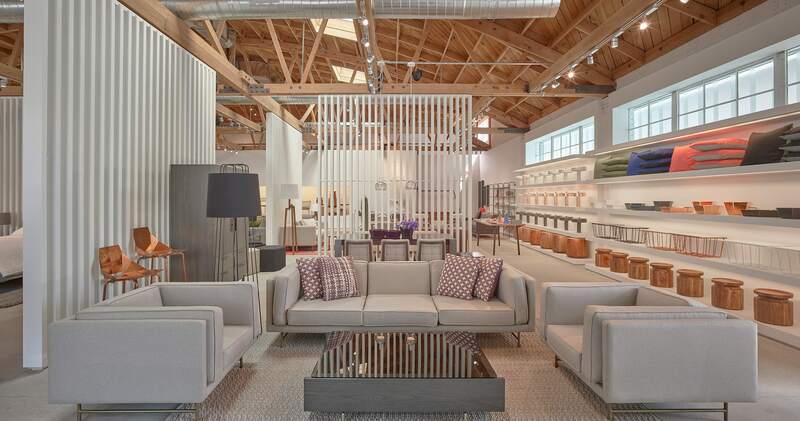 Boasting twice the space of our previous location, our West Hollywood modern furniture store is located near the intersection of Beverly and Robertson. Scope out our entire outdoor collection in the mezzanine, take one of our latest modern designs for a spin or simply recover from the cliché of horrible traffic all under a sweeping bowstring truss ceiling. Plus free dedicated parking (so magical). Free parking available in the lot adjacent to the east side entrance of the store.